A pilot cracks up during an attempted landing on an alien world with a corrosive atmosphere. Stock photos (the ship was a water tower!) and editing fun. A murder mystery in spaaaace! 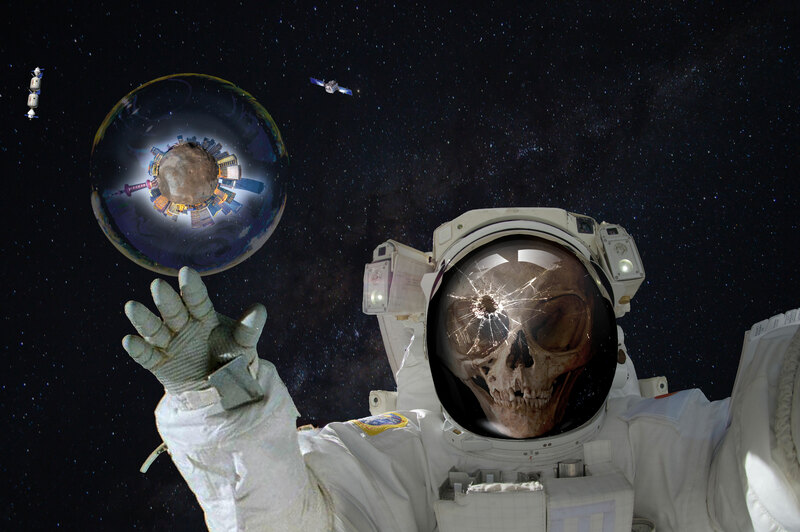 NASA stock pics, Photoshop fun, a manipulated skull (notice – it’s distorted to look like the skull of a grey alien). Also, fun with polar coordinate image conversion. 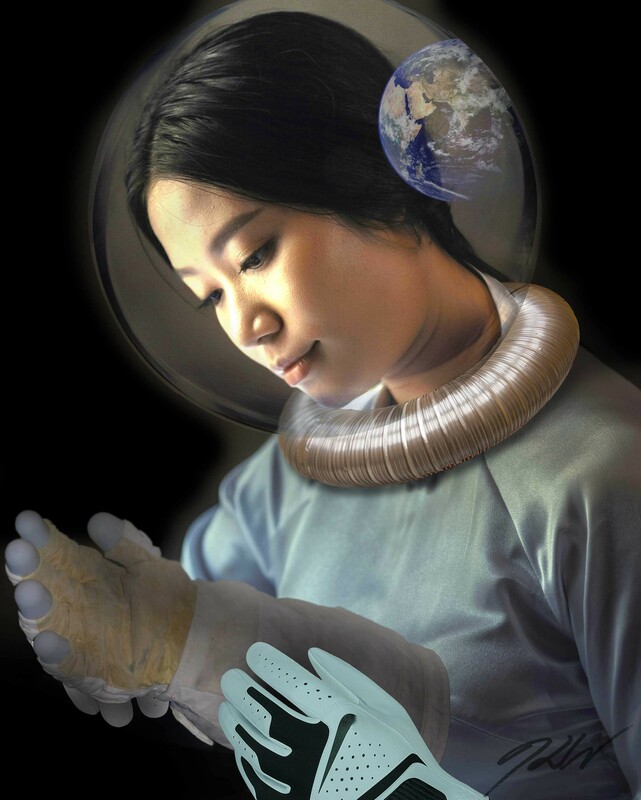 Unpublished – a lunar resident finds a discarded glove amongst the trash of early lunar workers. Stock photos and NASA stock photos. 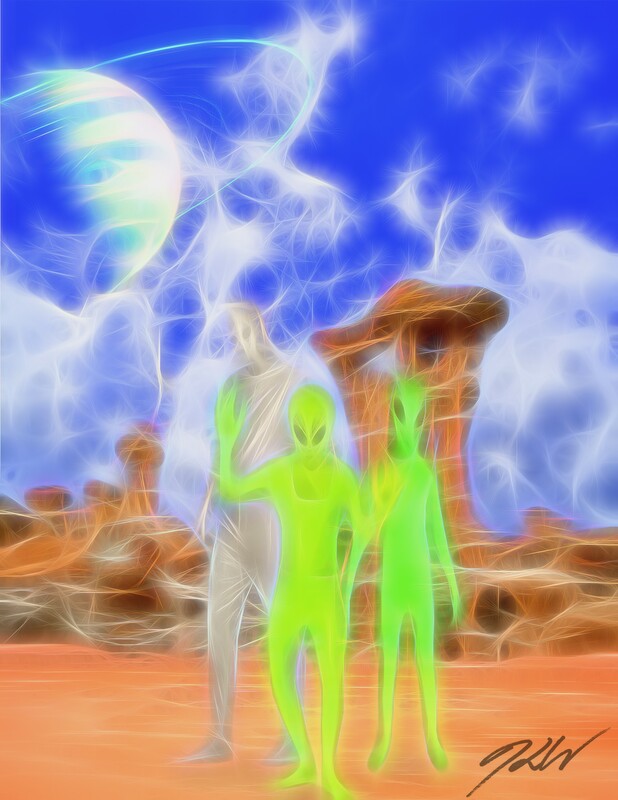 Strange experimental art from another world. When Void Pilot Jones stepped onto the new world – was something affecting his mind, his vision, or both? 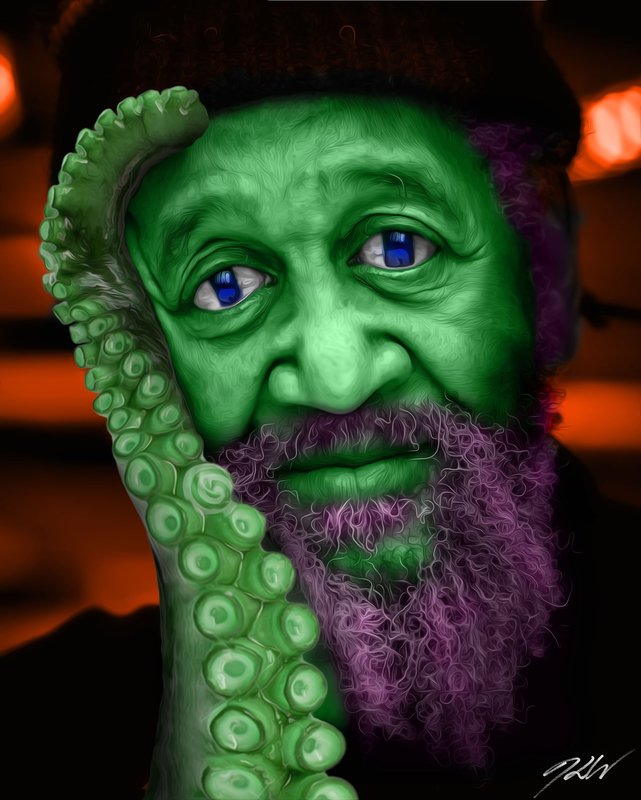 Colorized stock photo, add tentacle in place of arm/hand, and a bunch of other image manipulation. Inspired by Kelly Freas’ cover for ‘Martin go Home!’. Inspired by the old O’Neil colony paintings. The inside of an inhabited asteroid that’s been carved out and spun up. The long pole is lightning for the colony. Light piped in from outside / sun / sol. 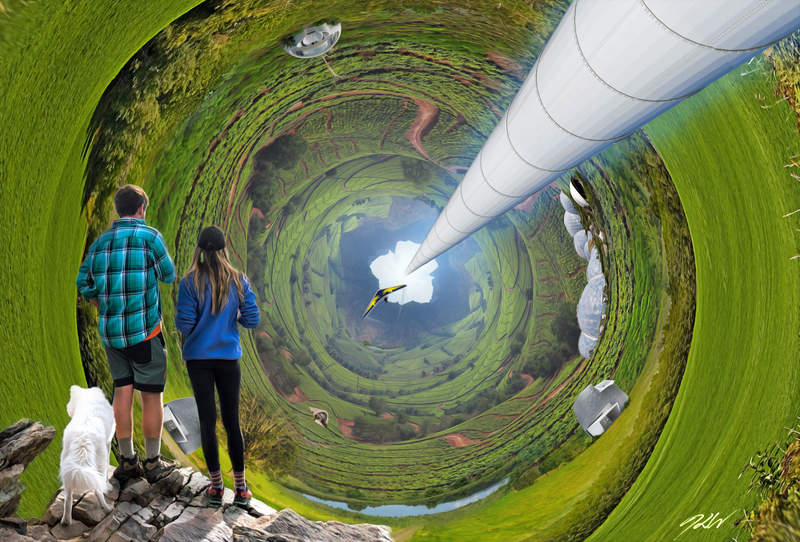 Polar coordinate image conversion fun and lots of stock photos of landscapes and mountains. 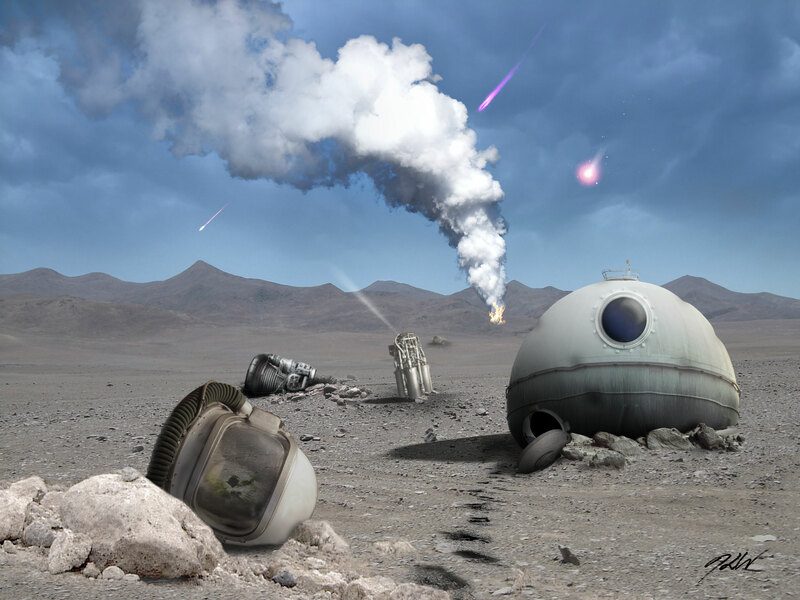 The concept is an orbital casino world orbiting Venus. Why? For the alliteration of course. There’s money in alliteration! Only partly a polar image conversion this time. 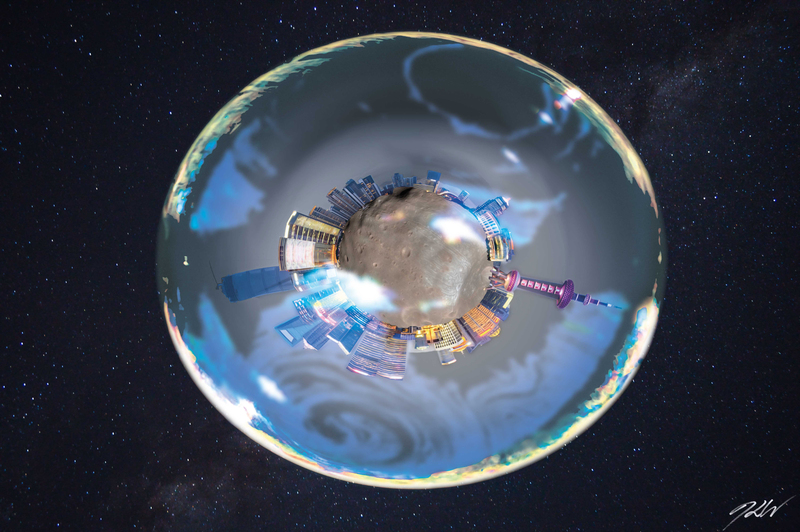 Lots of buildings added, a nice asteroid as well, and the force field is a soap bubble image. With lots and lots of color fiddling.